Died: at the age of 63 Monday 28th Safar 11 AH . 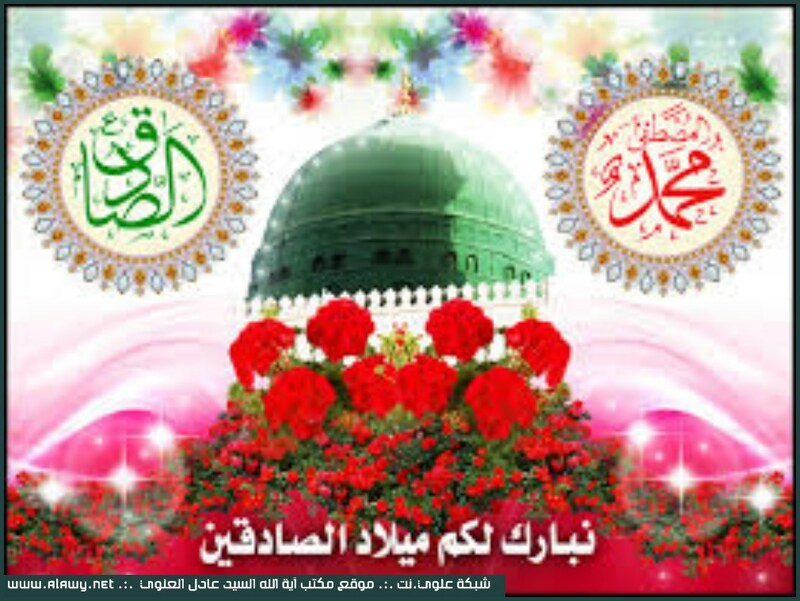 The last prophet of God, was born fifty-three years before the beginning of the hijra calendar in Mecca in the Hijaz among the family of Banu Hashim of the Tribe of Quraysh, which was considered the most honored of the Arab families. His father was called 'Abdallah and his mother, Amina. He lost both parents at the beginning of his childhood and was placed under the care of his paternal grandfather, 'Abd al-Mutalib, who also soon passed away. At this time the Prophet (sawas)'s Uncle Abu Talib, took charge of him and became his guardian, taking him into his own house. The Prophet (sawas) grew up in his uncle's house and even before reaching the age of adolescence used to accompany his uncle on journeys with caravan of Mecca. The Prophet (sawas) had not received any formal schooling. Yet, after reaching the age of maturity he became famous for his wisdom, courtesy, and trust- worthiness. As a result of his sagacity and trustworthiness, one of the women of the tribe of Quraysh, well-known for her wealth, appointed him as the custodian of her possessions and left in his hands the task of conducting her commercial affairs. The Prophet (sawas) once journeyed to Damascus with her merchandise and as a result of the ability he displayed was able to make an outstanding profit. Later she asked prophet to become his wife and the Prophet (sawas) accepted her proposal. After the marriage occurred in his Twenty-five years old, the Prophet (sawas) began the life of a manager of his wife's fortunes, until the age of forty, gaining meanwhile a widespread reputation for wisdom and trust- worthiness. He refused however, to worship idols as was the common religious practice of the Arabs of the Hijaz. And occasionally he would make spiritual retreats (khalwah)/)) in which he prayed and discoursed secretly with God. At the age of forty, in the cave of Hira in the mountains of the Tihamah region near Mecca, when he was in spiritual retreat, he received the first message from God and the permission to start the mission of spreading the new religion. At that moment the first chapter of the Qur'an ("The Blood-Clot" [Surah al alaq]) was revealed to him. That very day he returned to his house and on the way met his cousin, Ali ibn Abi Talib, who after hearing the account of what had occurred declared his acceptance of the faith. After Prophet entered the house and told his wife lady khadija the revelation, she likewise accepted Islam. After this period, according to Divine instruction, Prophet (sawas) began to propagate his mission publicly. With the beginning of open propagation the people of Mecca reacted most severely and inflicted the most painful afflictions and tortures upon the Prophet (sawas) and people who had become newly converted to Islam. The severe treatment dealt out by the Quraysh reached such a degree that a group of Muslims left their homes, and migrated to Abyssinia. Prophet (sawas) and his uncle, Abu Talib, along with their relatives from the Banu Hashim, took refuge for three years in the "shibu Abu Talib," in one of the valleys of Mecca. No one had any dealings or transactions with them and they did not dare to leave their place of refuge. The idol-worshipers of Mecca, although at the beginning they considered inflicting all kinds of pressures and tortures such as striking and beating, insulting, ridiculing and defamation on the Prophet, occasionally would also show kindness and courtesy toward him in order to have him turn away from his mission. They would promise him great sums of money or leadership and the rule of the tribe. But for the Prophet (sawas) their promises and their threats only resulted in the intensification of his will and determination to carry out his mission. Once, when they came to the Prophet (sawas) promising him wealth and power, the Prophet (sawas) told them, using metaphorical language, that if they were to put the sun in the palm of his right hand and the moon in the palm of his left hand he would not turn away from obeying the unique God or refrain from performing his mission. About the tenth year of his prophecy, when the Prophet (sawas) left the shibu Abou talib his uncle Abu Talib, who was also his sole protector died, as his devoted wife. Henceforth there was no protection for his life nor any place of refuge. Finally the idol-worshipers of Mecca devised a secret plan to kill him. At night they surrounded his house from all sides with the aim of forcing themselves in at the end of the night and cutting him to pieces while he was in bed. But God, the exalted one, informed him the plan and commanded him to leave for Yathrib. The Prophet (sawas) placed Ali in his place in his bed and at night left the house under Divine protection, passing amidst of his enemies, and taking refuge in a cave near Mecca. After three days when his enemies looked everywhere, and gave up hope of capturing him and returned to Mecca, he left the cave and set out for Yathrib. The people of Yathrib, whose leaders had already accepted the message of the Prophet (sawas) and sworn allegiance to him, accepted him with open arms and placed their lives and property at his disposal. In Yathrib for the first time the Prophet (sawas) formed a small Islamic community and signed treaties with the Jewish tribes in and around the city as well as with the powerful Arab tribes of the region. He undertook the task of propagating the Islamic message and Yathrib became famous as "Madinat al-rasul" (the city of the Prophet). Islam began to grow and expand day by day. Muslims who in Mecca were caught in the mesh of the injustice and inequity of the Quraysh, gradually left their homes and property and migrated to Medina, revolving around the Prophet (sawas) This group became known as the "immigrants" (muhajirun) in the same way that those who aided the Prophet (sawas) in Yathrib gained the name of "helpers" -ansar). Islam was advancing rapidly but at the same time the idol- worshipers of Quraysh, as well as the Jewish tribes of the Hejaz, were unrestrained in their harassment of the Muslims. With the help of the "hypocrites" (munafiqun) of Medina, who were between the community of Muslims and who were not known for their holding any particular positions, they created new misfortunes for the Muslims every day finally the matter led to war. Many battles took place between Muslims and t Arabs polytheists and Jews, in most of which the Muslims were victorious- . There were altogether over eighty major and minor battles. In all the major conflicts such as the battles of Badr, Uhud, Khandaq, Khaybar, Hunayn, etc., the Prophet (sawas) was personally present on the battle scene. Also in all the major battles and many minor ones, victory was gained especially through the efforts of Ali. He was the only person who never turned away from any of these battles. In all the wars that occurred during the ten years after the migration from Mecca to Medina less than two hundred Muslims and less than a thousand infidels were killed. As a result of the activity of the Prophet (sawas) and the selfless effort of the muhajirun and ansar during this period, Islam spread through the Arabian Peninsula. There were also letters written to kings of other countries such as Persia, Byzantine and Abyssinia inviting them to accept Islam. During this time the Prophet lived in poverty and was proud of it. He never spent a moment of his time in vain. Rather, his time was divided into three parts: one spent for God, in worshiping and remembering Him; a part for himself and his household and domestic needs; and a part for the people. During this part of his time he was engaged in spreading and teaching Islam and its sciences, administrating to the needs of Islamic society and removing whatever evils existed. After ten years of staying in Medina the Prophet (sawas) got sick and died after a few days of illness.